Time to deck the halls and eat Christmas cookies! I love decorating my house for Christmas. Each year I try to add a little bit more to my Christmas decor stash. 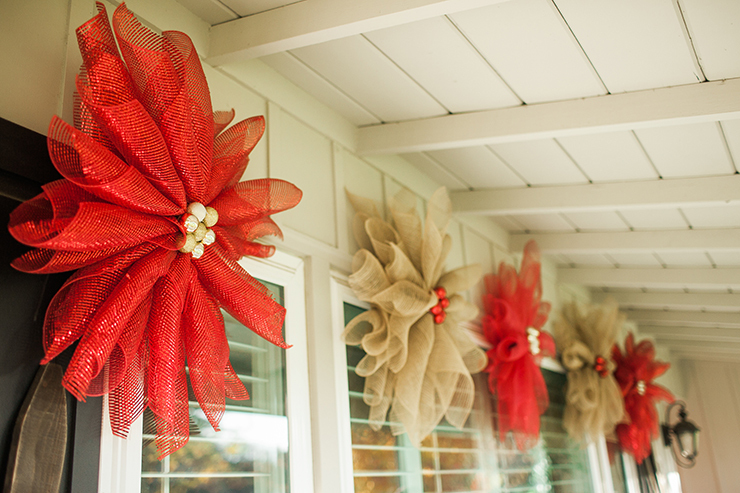 This year I wanted Christmas decor that could be used inside and outside! 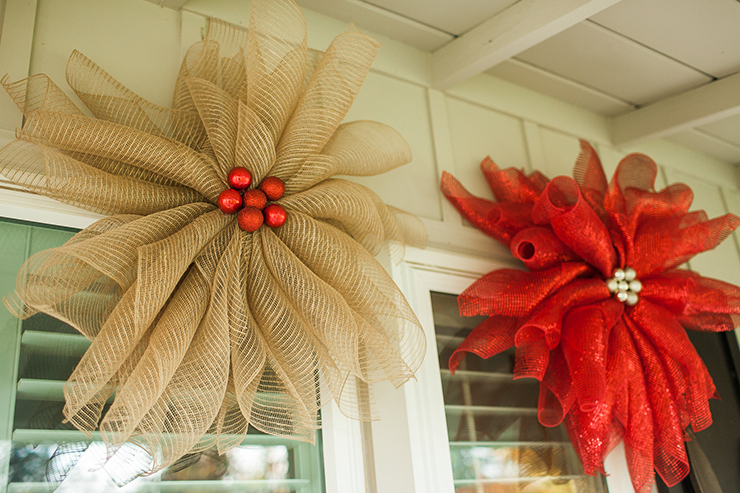 These Mesh Poinsettias are the perfect project when you want maximum decor impact with minimum time! 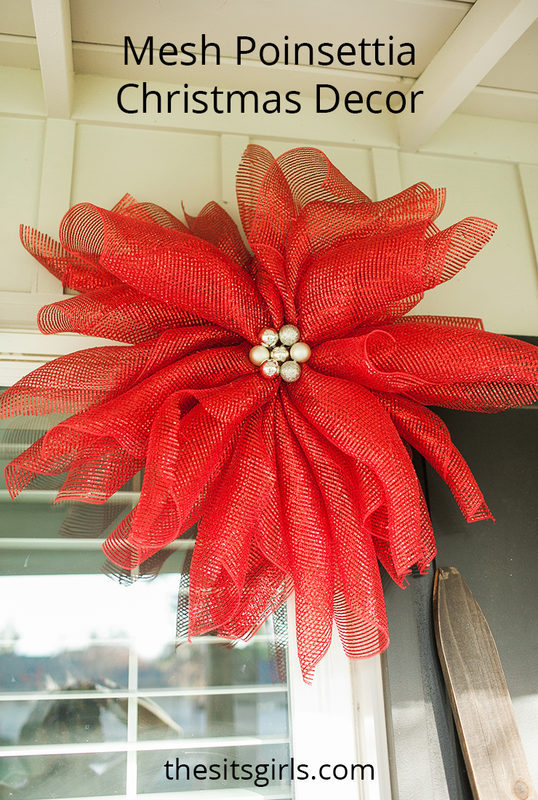 The beauty about mesh poinsettias is that you can make them any color you want! I chose to go with a shiny red and a burlap. The first step is to roll out the mesh and cut all the squares. For each flower I cut a total of 16 squares. The squares were all measured to be 21 inches wide. You want to keep them uniform as possible so that all your flower petals match in length at the end. Once you have cut the squares, you will see that the mesh rolls up a bit. That is exactly what you want! Take all your rolled up mesh pieces and line them up. Take opposite sides of the mesh piece and pull them out. Repeat the process so that all of them are at their longest length. Next take your string and, using your free hand, pull 8 of the mesh pieces together at the middle. Tie the string around the center. Do the same gathering process over again so that you have two sets of petals. Now, fluff the two parts and place them on top of each other. Take another piece of string and wrap it around the middle, so both of the pieces are secured tightly together. 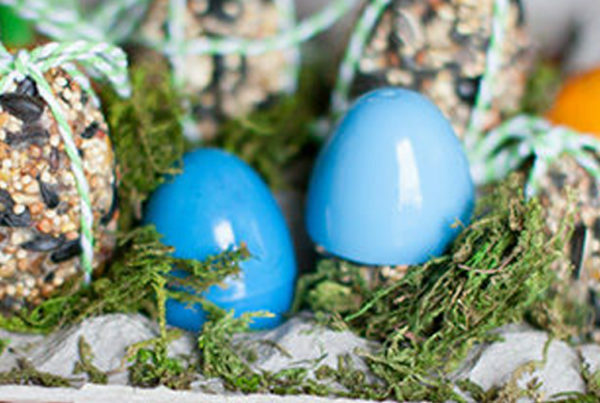 Fluff them again, and now you are ready to add the plastic ornaments! Using your hot glue gun, attach plastic ornaments to the center of your mesh poinsettias. You can arrange these however you like, but I like to do one in the center and then 6 surrounding it. The flowers have held up so well on our covered porch. 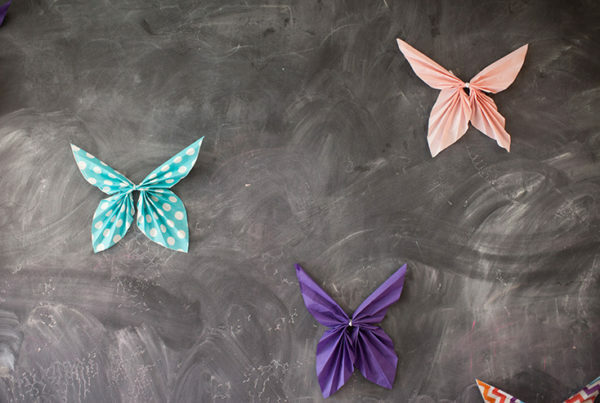 I used a simple tack to hang them up, and so far they have been totally weather proof! They would also be great as a backdrop for a Christmas party. Photo credits: the always amazing Kelly Seeley! Next PostWhat is Guest Posting and Why Should I Do It? 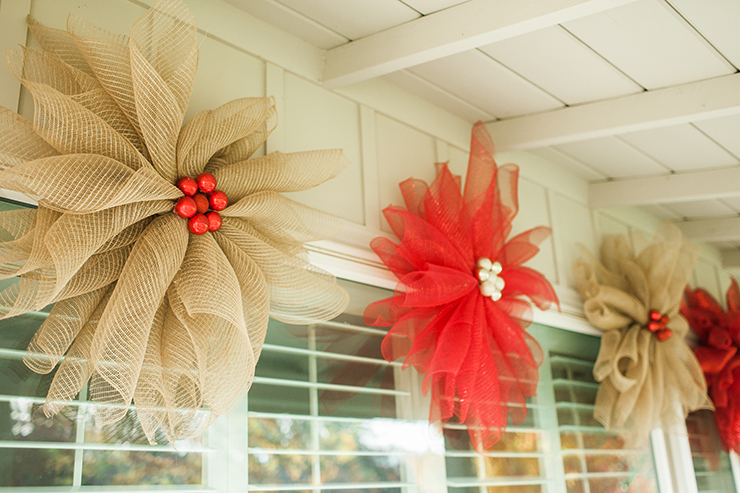 Mesh Poinsettia is really sweet for my kids, thanks for sharing. How many rolls of wrap were needed to create this? 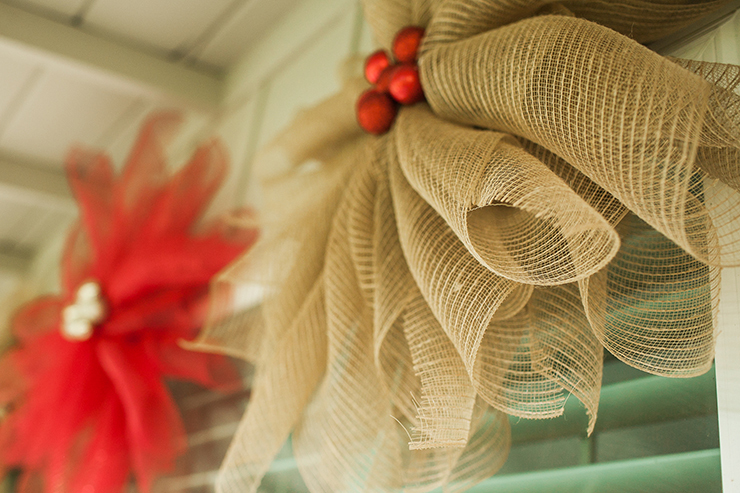 I had plans of creating mesh poinsettias on this Christmas, but unfortunately I missed it. These mesh poinsettias are so colorful and attractive.